PayJunction is a payment gateway and merchant service provider for mid to large-scale businesses. It offers electronic signature capturing, multi-location reporting, digital receipts, and more. We compiled user reviews from our website and from around the web and determined that PayJunction has generally positive ratings. We also shared the fees and rates available. Users who gave PayJunction a positive review shared that it is convenient to use the software without necessarily having to pay for a monthly fee. The also mentioned that the program is intuitive to use and easy to navigate. There were only a few negative reviews online, and users who gave PayJunction critical feedback wished for additional payment options, as well as customizations to the contacts list. PayJunction offers two pricing plans: Clean Start and Rate Match. There are no monthly fees, but PayJunction charges an amount of $35 to users who process less than $10,000 per month in payments. The Clean Start plan charges 0.75% for every credit/debit card payment and 0.75% for every check payment. With the Rate Match plan, PayJunction will match the rate of your current payment gateway provider. Check out the list below of some of PayJunction’s features. Best Payment Gateway for Small Business 2017: Stripe vs. PayPal vs. Authorize.Net — Payment gateways are the middlemen that connect your eCommerce shopping cart to your payment processor to enable online credit card payments. We looked at the most popular options and rising stars and made a review of PayPal, Stripe, and Authorize.Net. How To Accept Credit Card Payments: In-Store, Online & Mobile — If you’re searching for the right credit card processing solution, this guide will show you how to accept credit cards anywhere, in a brick-and-mortar store, on a website, or using a smartphone or tablet to accept mobile payments. Top 6 Merchant Services Providers for Small Business in 2018 — We review 6 top-rated merchant services providers in this guide and examined the differences in plans, prices, and other key service features. What type of industries does PayJunction support? PayJunction caters to a wide range of industries including retailers, distributors, manufacturers, and service-based institutions. Yes, and there are no cancellation fees. You just have to fill out a cancellation form, and submit it to their website. This video provides an overview of PayJunction’s main features and benefits. Not sure if PayJunction is the right fit for you? Read our reviews of all top payment gateway providers or check out one of these three PayJunction competitors. we love it because, for any remote transaction, the client receives an email requesting a signature for payment, so there is no need for authorization forms to protect us: everything is signed! All signatures are also stored digitally. We would like there to be an option to customize the list of clients so that we could add a column to see the name of the card holder and the name of the company, and then order the columns. PayJunction may not be the biggest payment processor, but they have some amazing features and an excellent support team. I have worked with them on beta testing the ACH features and have had a lot of interaction with support. Support has always been extremely friendly and helpful. The UI in web login is a little dated, but they are currently making improvements and it is way better than others I have tried. 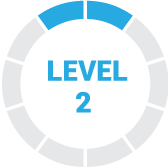 We get our money quickly and it is very easy to use and configure. The support is excellent and it is very easy to reach a real person. Excellent customer service! Smart terminals have a very professional appearance. They elevate the customer experience and give you the option of electronic receipts, saving paper. In our experience, we configure ourselves with credit, debit and checks. After one month, our merchant’s statement was quite expensive compared to our previous merchant. The digital processing of our checks was the culprit since the rate was quite high. Now we only make credit and debit and we are happy with the cost. It is relatively easy to use and correct errors if you commit them. It contains the last numbers of cards that you have processed previously, so you do not have to write the complete number for regular customers. And, you can search by name, as well as by number. 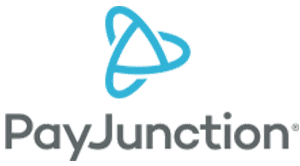 Pay Junction is very easy to use and works very well in our environment. We are an RV Dealer as well as a RV Rental company. 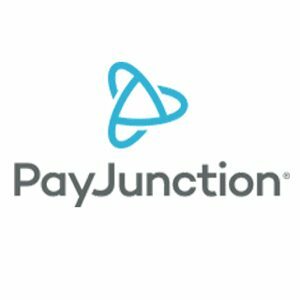 We run two companies using Pay Junction and everything is separate and allows for easy reconciliation. When we need to call in for over-rides or anything the staff is very helpful and they are quick. We are extremely happy with Pay Junction and we have our money much faster then with previous processers. I wish that they were around years ago! It was by chance that I found out about them, as someone in the area that we live in, just happened to stop by and talk to me about it. I think they need to promote it more as it’s a great product! PayJunction’s combination of intuitive reporting and ease of use both for patients and our staff makes it a very attractive option for payment processing. We were able to set up and begin using within minutes! We haven’t run into anything yet! Nothing. Prices are competitive, terminals are excellent and their website is great. Only wish I had known about them sooner!